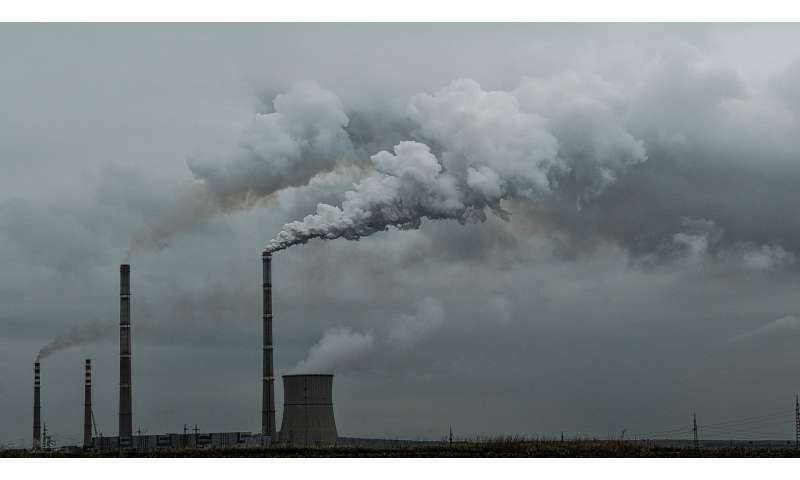 Their article, titled "Fine-scale damage estimates of particulate matter air pollution reveal opportunities for location-specific mitigation of emissions," is being published in Proceedings of the National Academy of Sciences (PNAS). It was co-authored by Christopher Tessum, University of Washington, Department of Civil and Environmental Engineering; Jay Coggins, University of Minnesota, Department of Applied Economics; Jason Hill, University of Minnesota, Department of Bioproducts and Biosystems Engineering; and Julian Marshall, University of Washington, Department of Civil and Environmental Engineering. PM2.5 are atmospheric particles that generally have a diameter of only 2.5 micrometers or smaller and are so tiny, they can only be seen with an electron microscope. For scale, that's about 3 percent of the diameter of a single human hair. The particles often carry microscopic solid or liquid drops leftover from when they were formed during complex chemical reactions and can sometimes contain dangerous elements. Their small, light nature allows them to stay in the air longer than heavier particles, increasing the possibility of being inhaled and settling into the lungs or bloodstream. "The impact of particulate matter air pollution is enormous even in countries with relatively good air quality like the U.S.," Goodkind said. "There is still substantial room for improvement to the public health from reducing emissions, even though we have dramatically improved our air quality over the last 40 years." "Sources in the same urban area, releasing the same quantity of emissions, can have orders of magnitude difference in their impacts on health," Goodkind said. "Identifying those sources with the largest impacts can help improve our decision making about how to reduce pollution." "Coal-fired electricity generation has, rightly, received substantial attention, and emissions have dropped substantially, but many people do not realize that agriculture is the source of a significant share of emissions," Goodkind concluded. "We are looking into how and where we grow crops and raise livestock, what inputs are used, and how we can improve the system to continue to produce the food we need but with fewer environmental and health impacts." Capitalist mantra: "Privatize profits, socialize costs." So I'm predicting that, unfortunately, no one will care about this. "unfortunately, no one will care about this"
Pathetic indeed ! We live in an age we people can't even walk themselves out the door !